WFP has allocated an immediate $2 million for Haiyan relief, with a greater appeal pending as needs become apparent. The UN organization is sending 40 metric tons of fortified biscuits in the immediate aftermath, as well as working with the government to restore emergency telecommunications in the area. Americans can text the word AID to 27722 to donate $10 or give online. Learn more here. 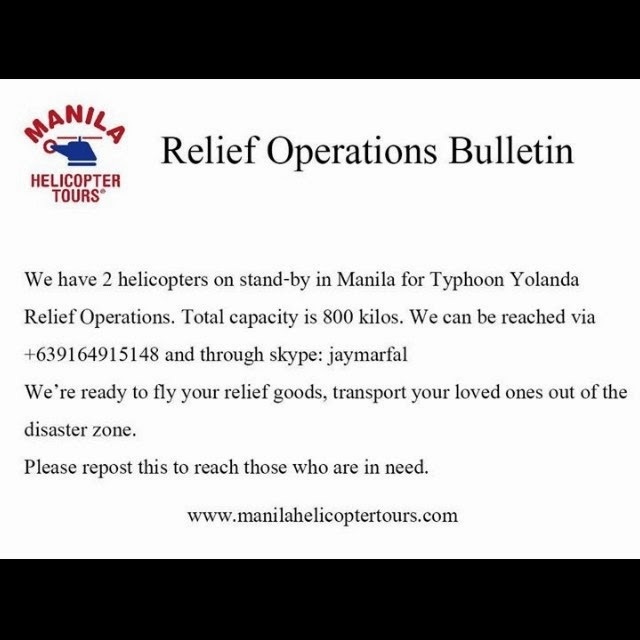 Emergency responders and volunteers throughout the Philippines are providing meals and relief items. Already, thousands of hot meals have been provided to survivors. Red Cross volunteers and staff also helped deliver preliminary emergency warnings and safety tips. Give by donating online or mailing a check to your local American Red Cross chapter. Learn more here. The relief organization is sending medical aid for 20,000 survivors, including antibiotics, wound care supplies and pain relievers. AmeriCares is also giving funds to local organizations to purchase supplies. Learn more here. The organization is providing food, water and hygiene kits at the evacuation centers. World Vision was also still actively responding to last month's earthquake in Bohol, which luckily was not struck by the eye of the storm. Learn more here. ShelterBoxprovides families with a survival kit that includes a tent and other essential items while they are displaced or homeless. Learn more here. 100 percent of all disaster donations will be used for relief efforts and "to immediately meet the specific needs of disaster survivors." 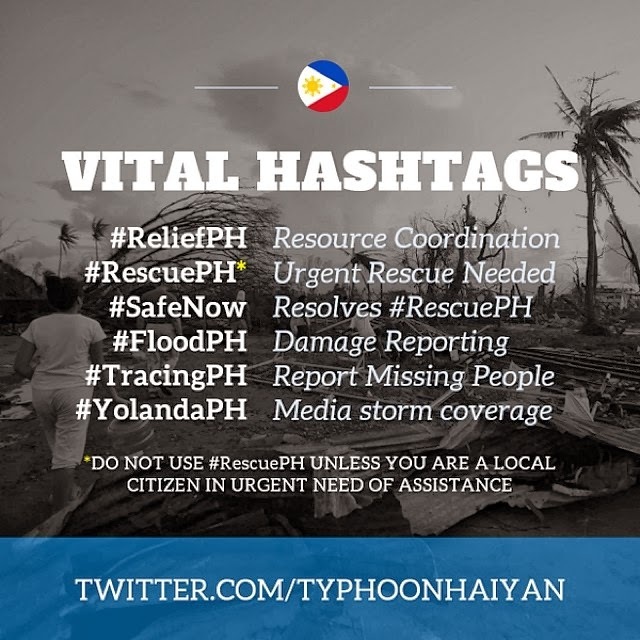 Text TYPHOON to 80888 to Donate $10 or give online. Learn more here. This information will help them.